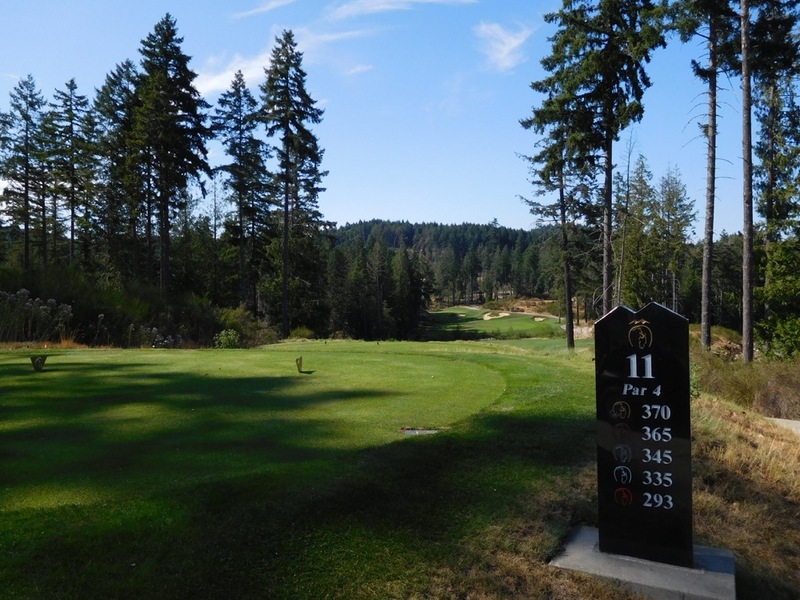 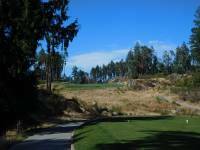 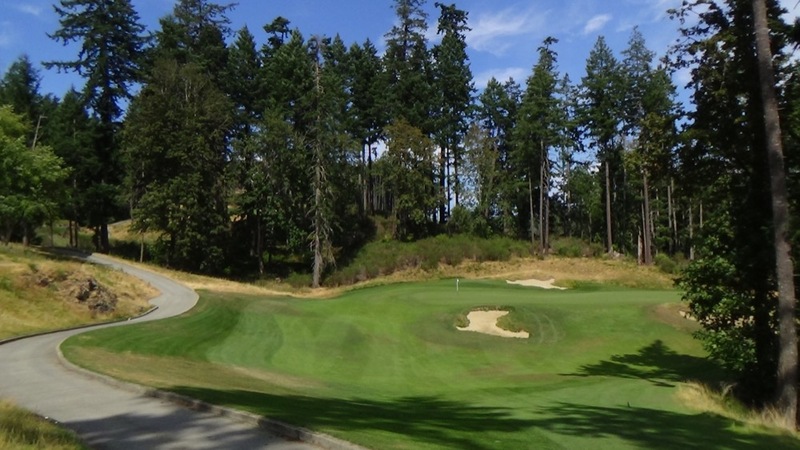 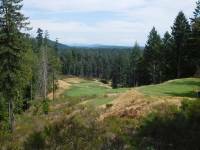 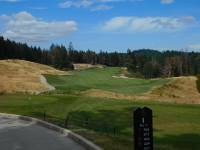 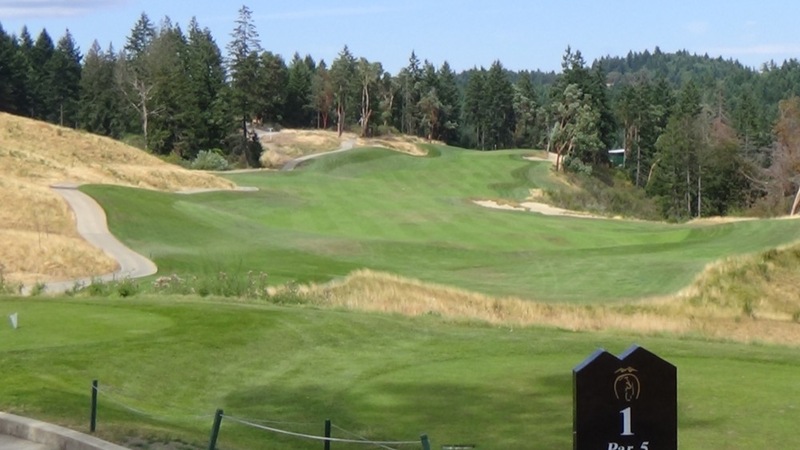 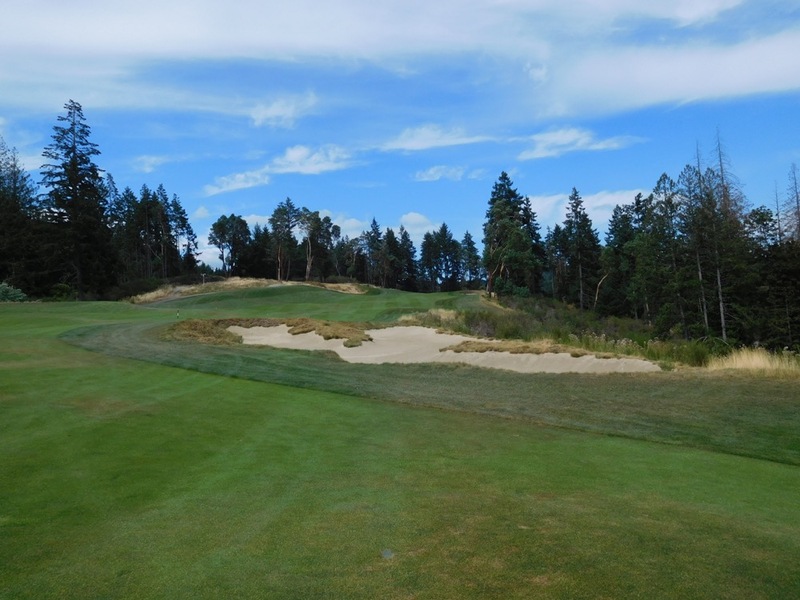 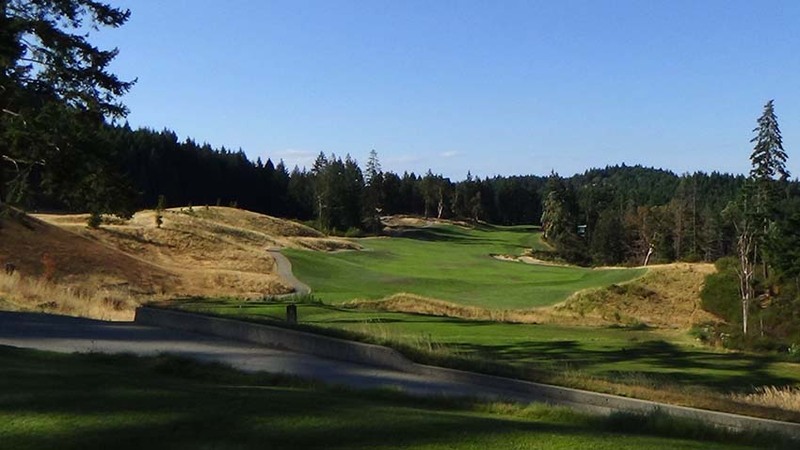 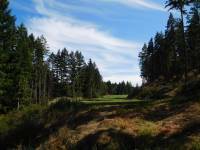 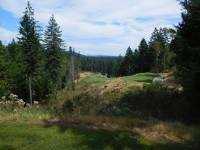 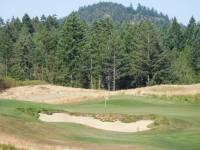 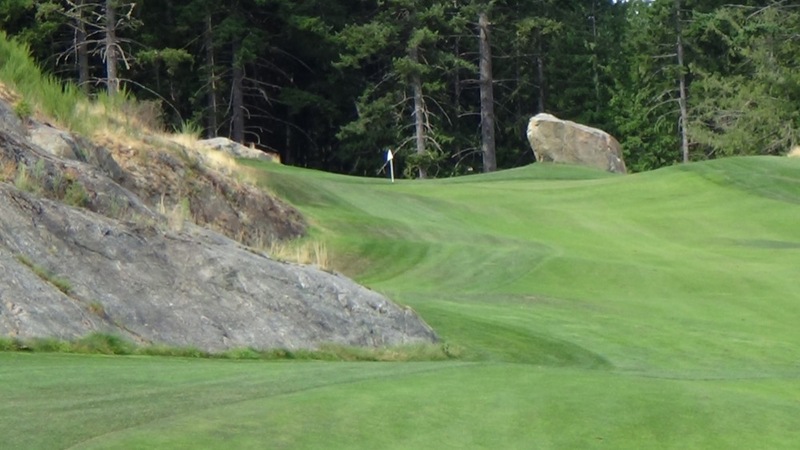 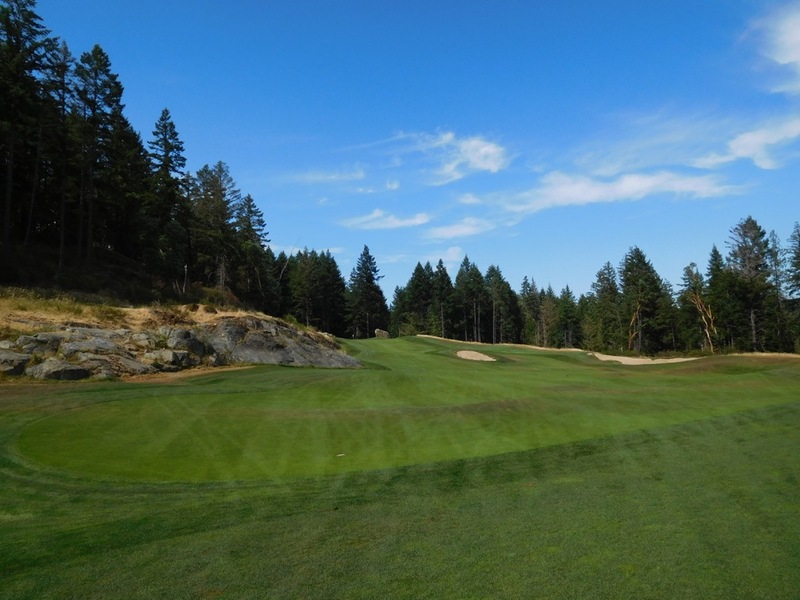 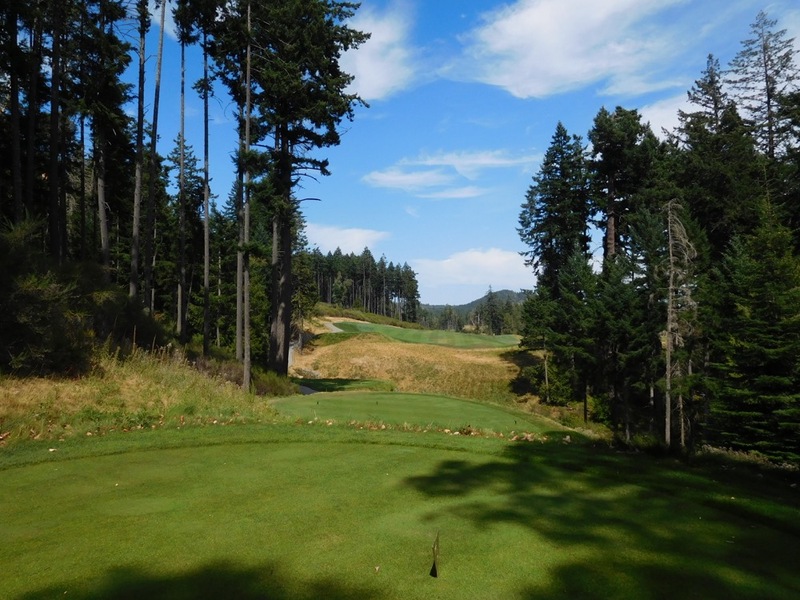 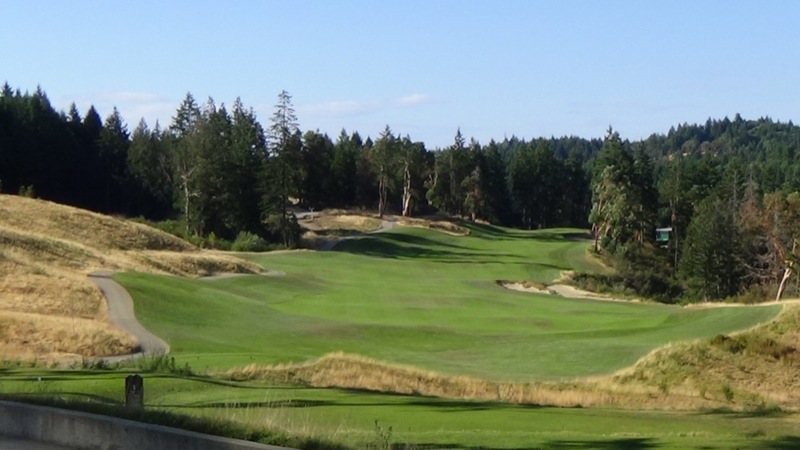 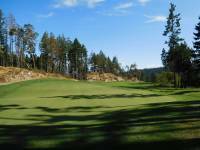 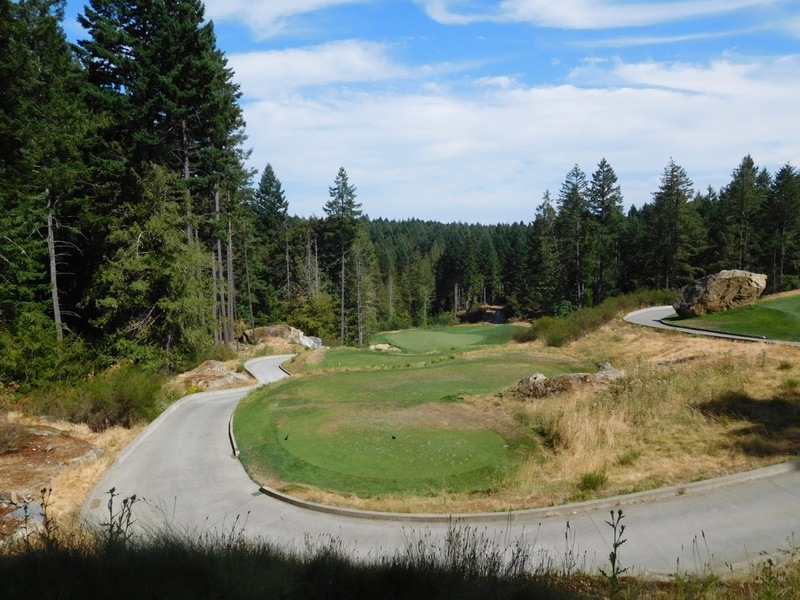 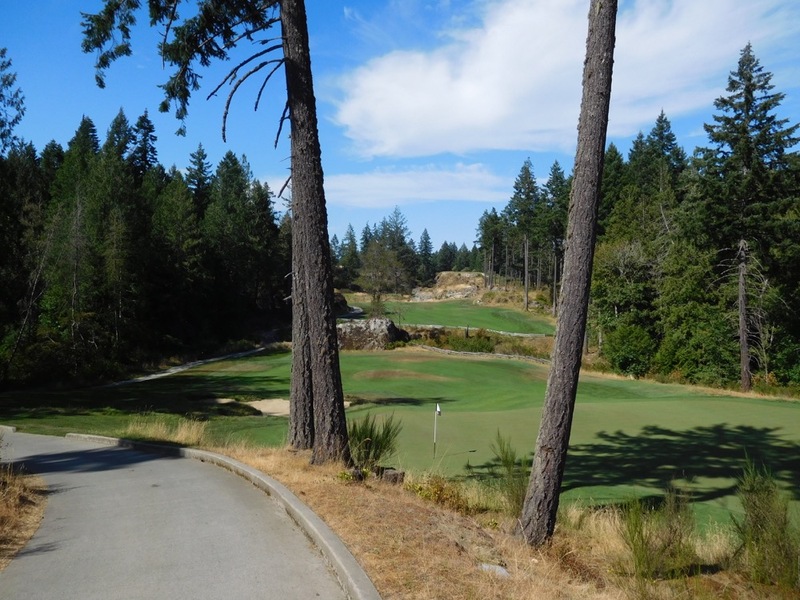 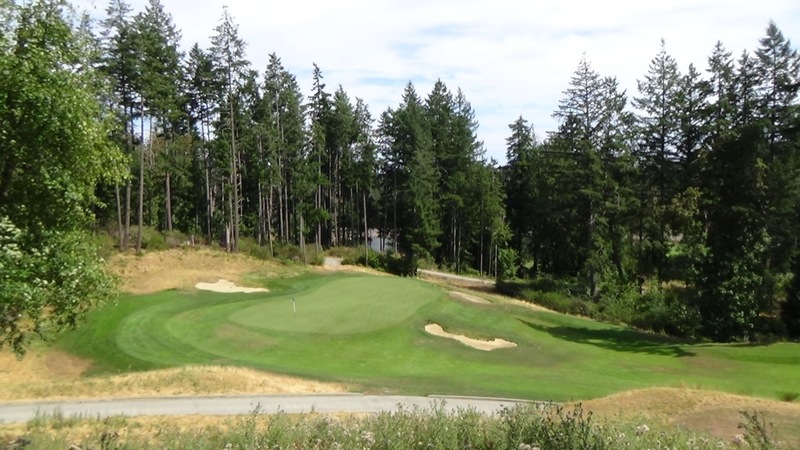 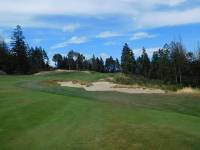 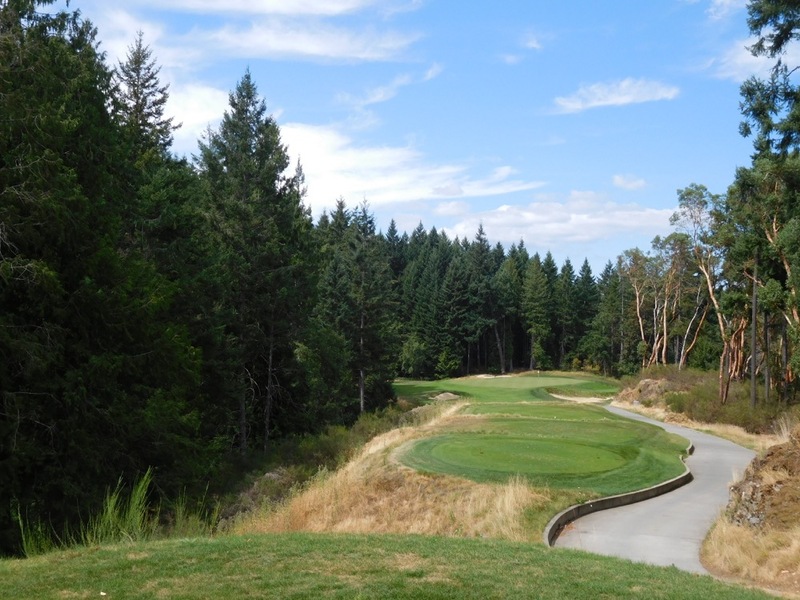 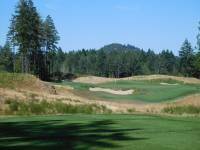 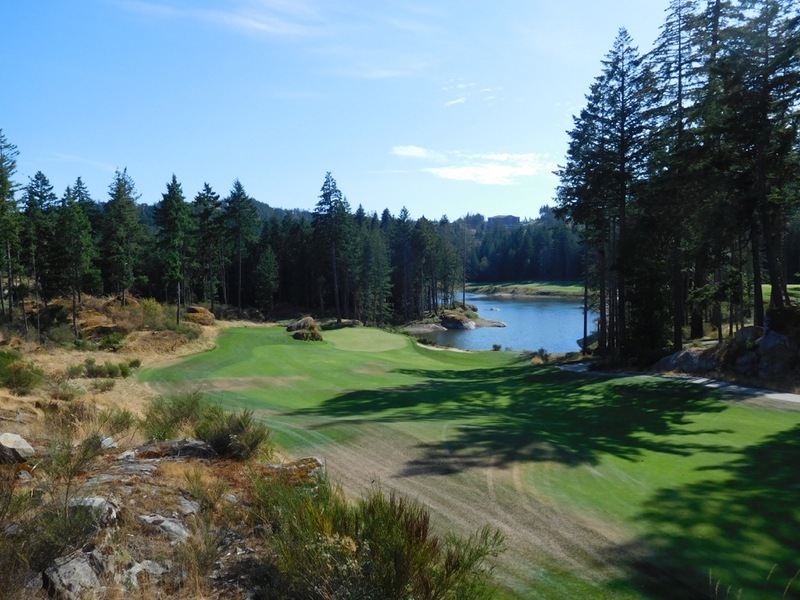 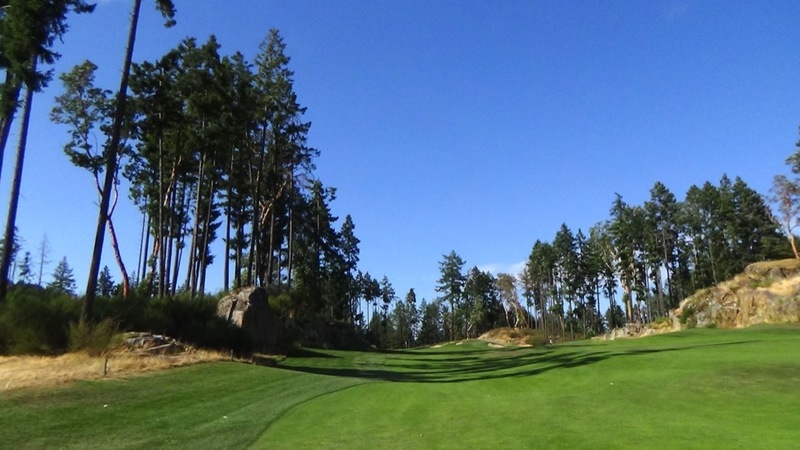 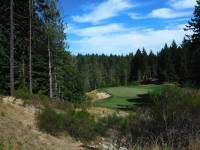 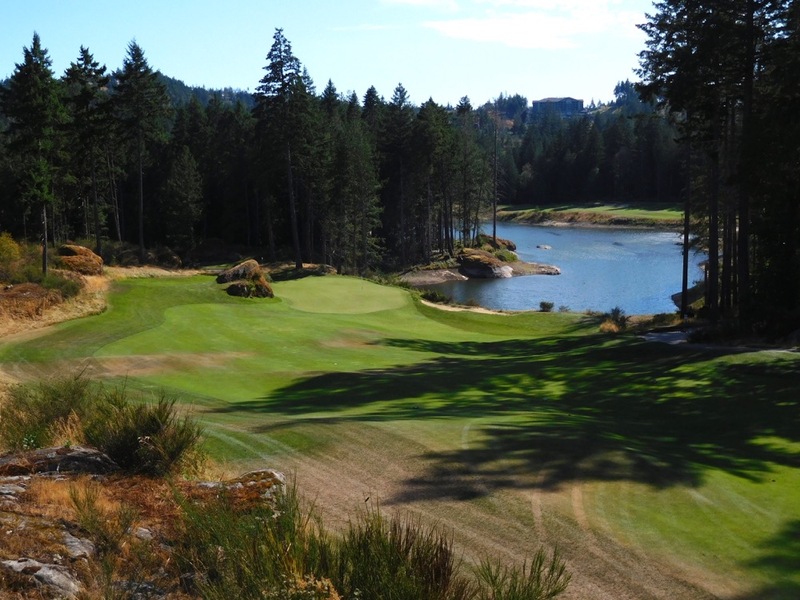 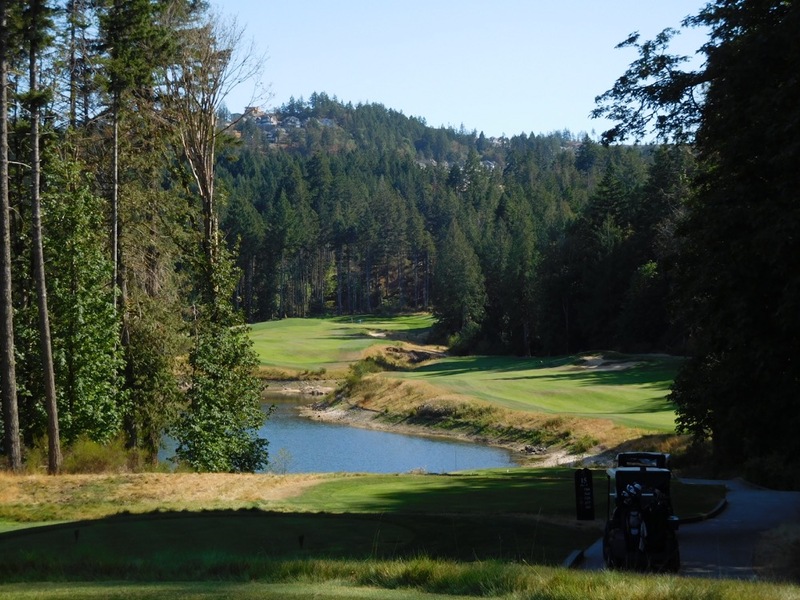 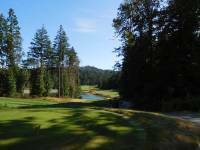 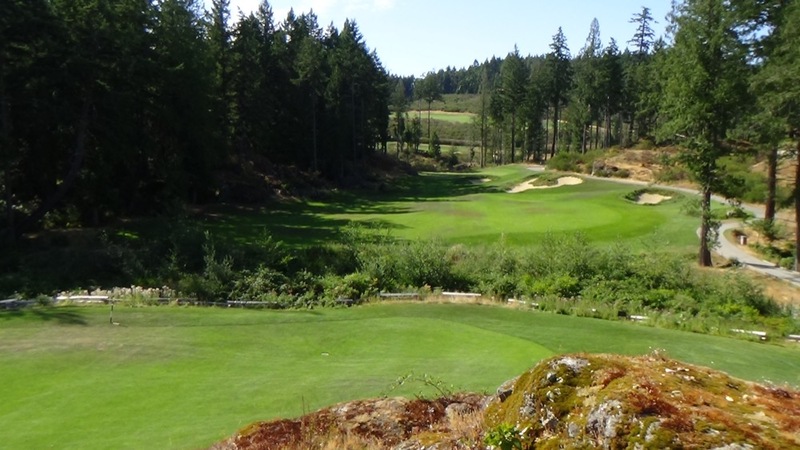 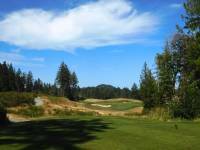 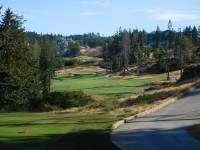 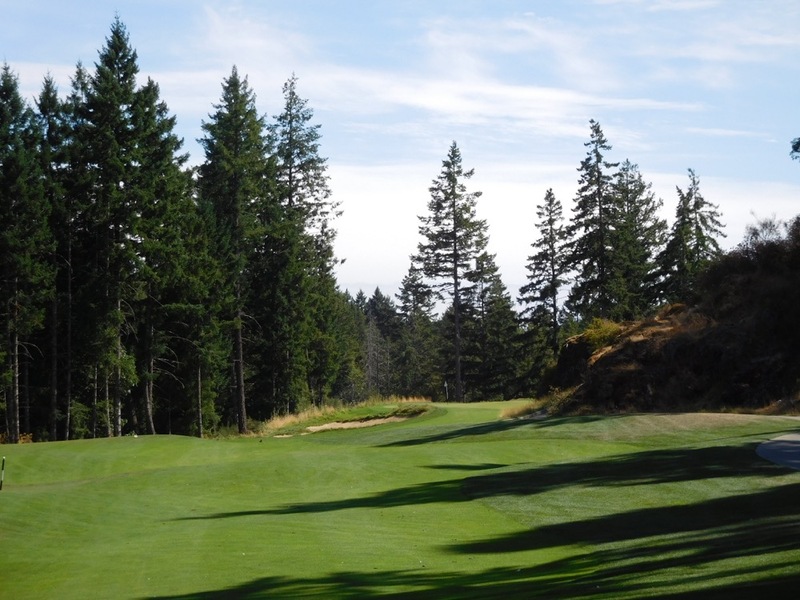 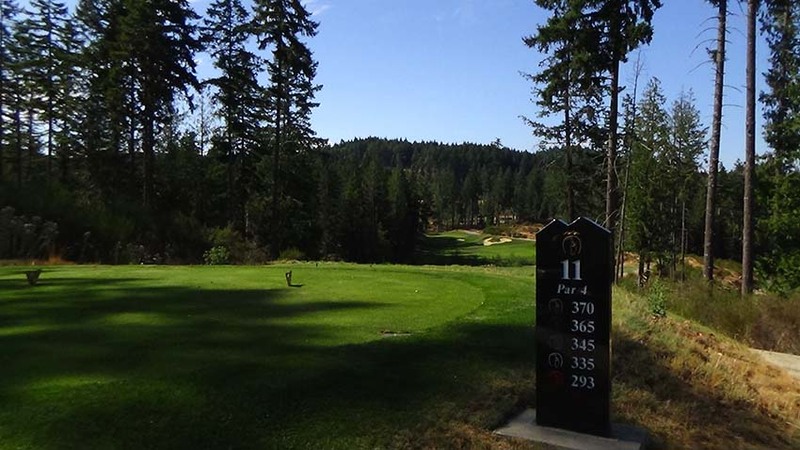 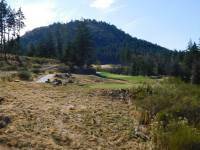 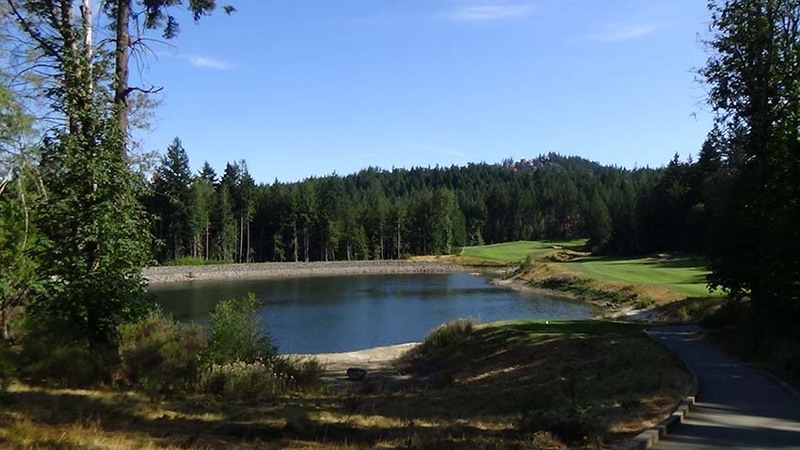 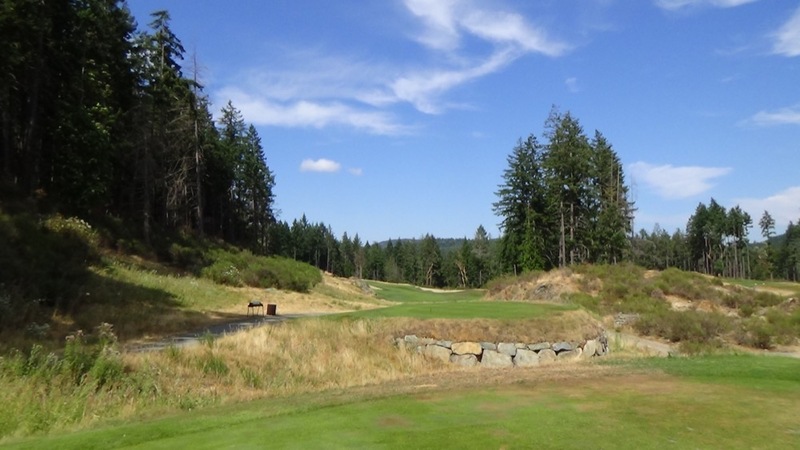 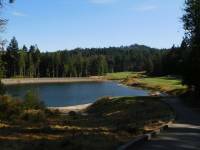 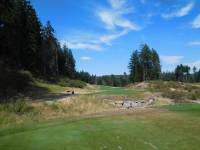 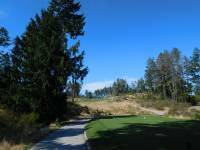 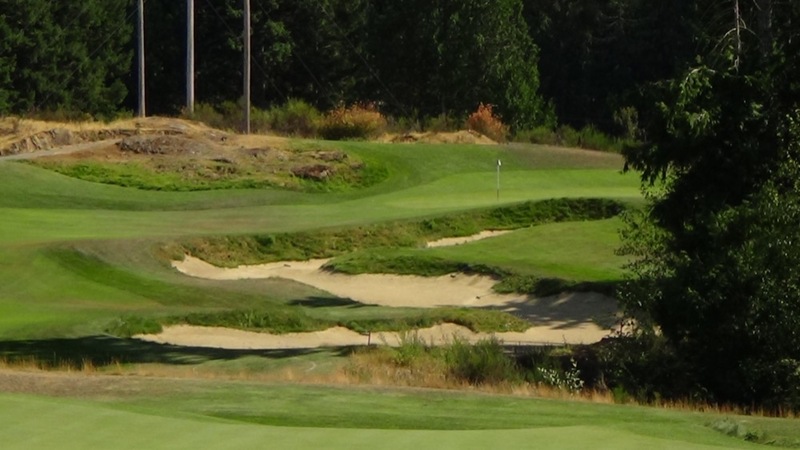 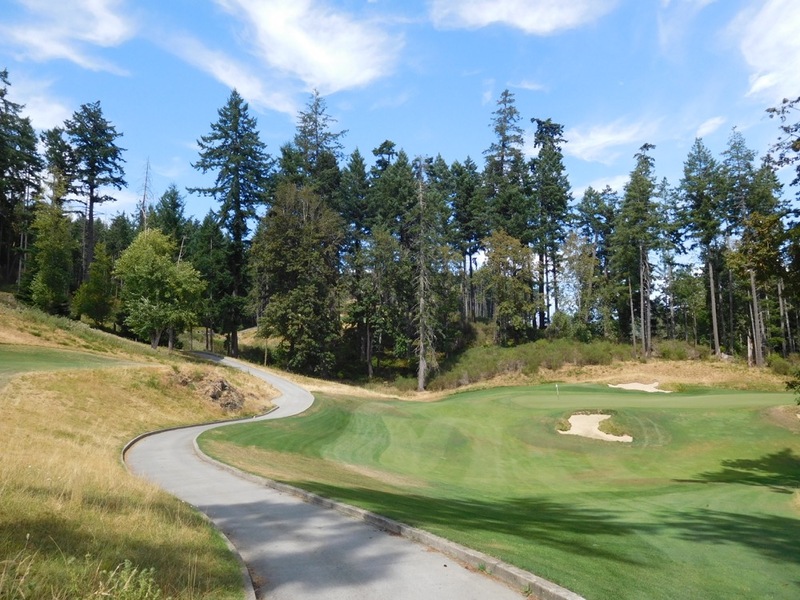 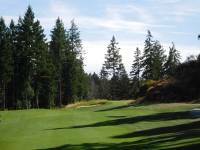 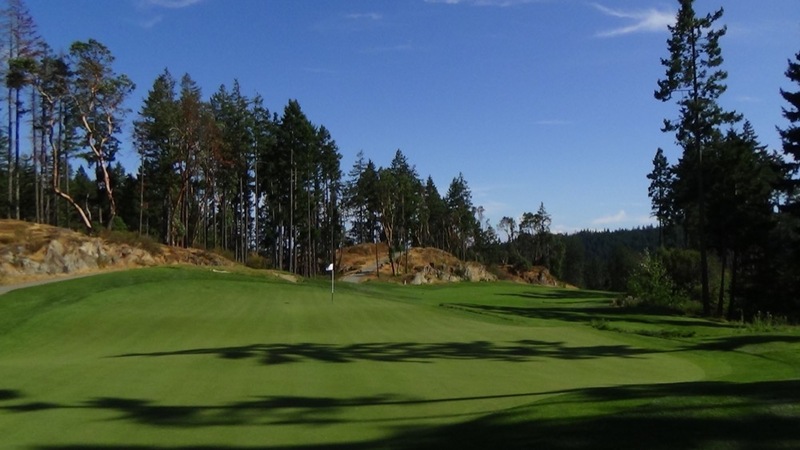 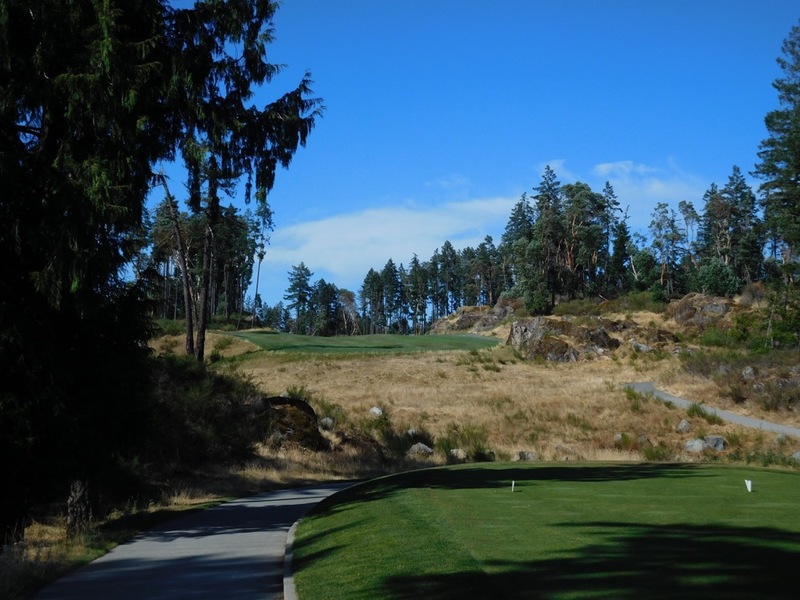 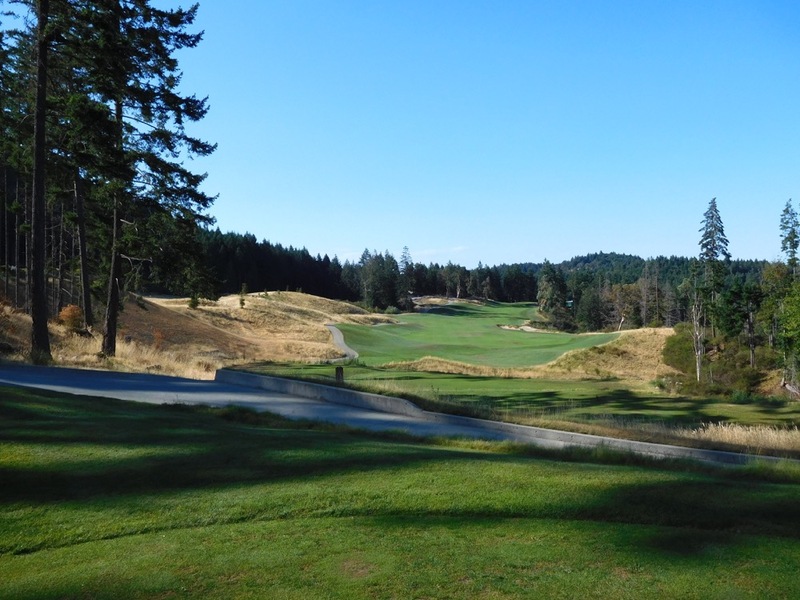 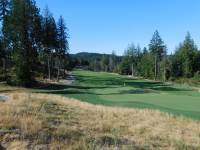 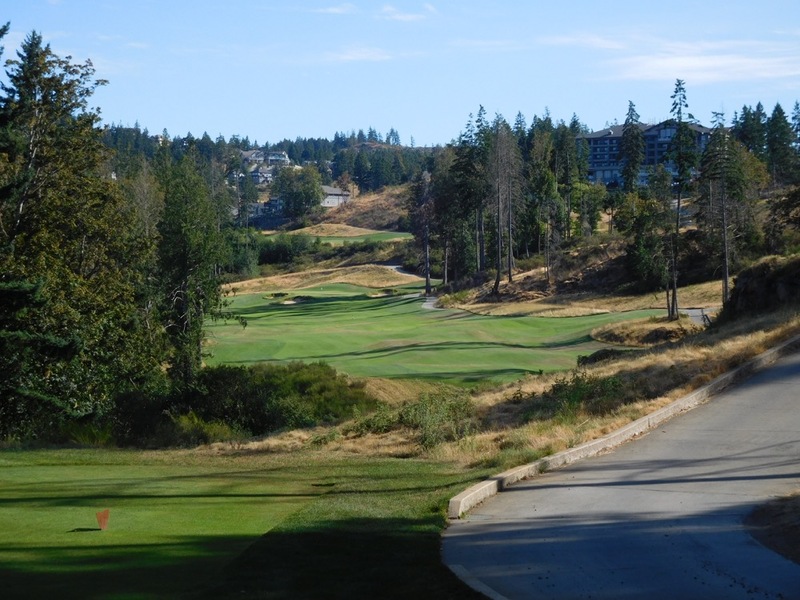 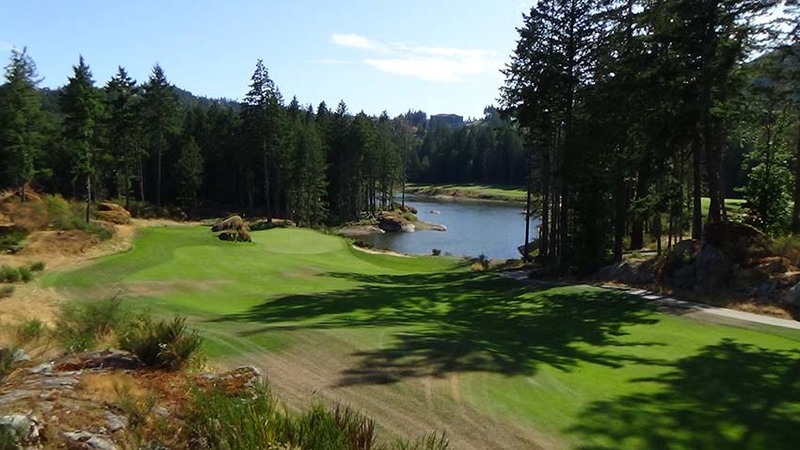 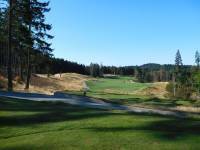 Bear Mountain’s Valley Course is really only a “valley” in relation to Bear Mountain’s Mountain Course because both are located high above beautiful Victoria on British Columbia’s Vancouver Island! Jack and Steve Nicklaus have done something really special with the Valley Course though. 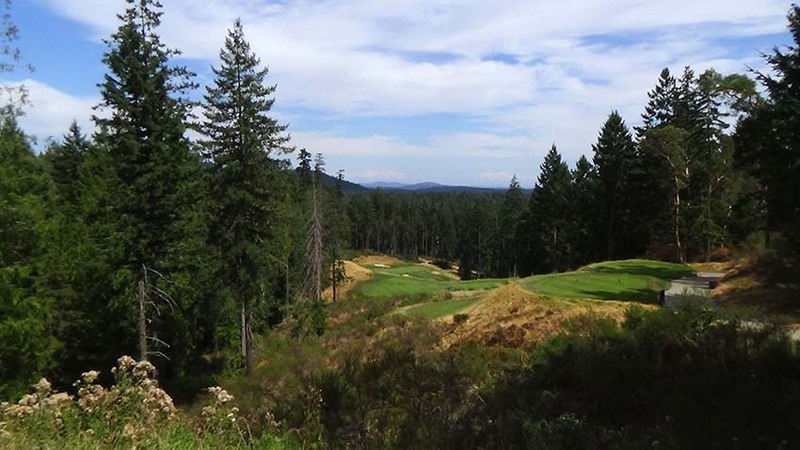 This resort course plays “secluded”, with nothing but nature in sight as you traverse its rocky and wooded terrain. 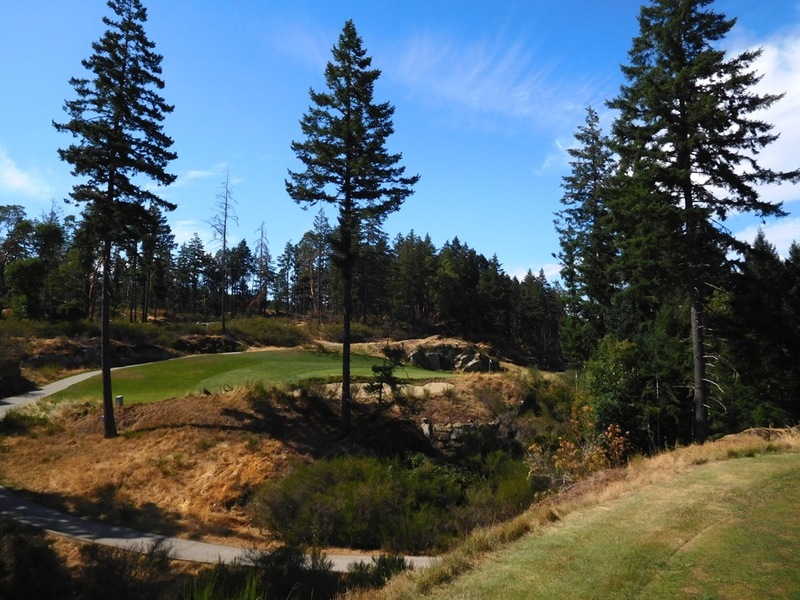 The Valley Course at Bear Mountain is exciting with tee shots that hang forever in the air and fairways that run along high ridges. 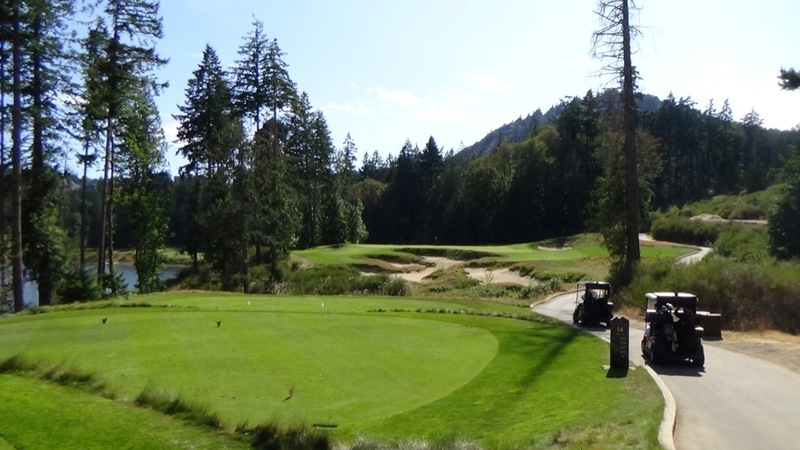 The Bear Mountain Valley Course is not an overly long one and that definitely helps because it can be difficult to find your ball yet alone save par if you venture too far from the fairways! 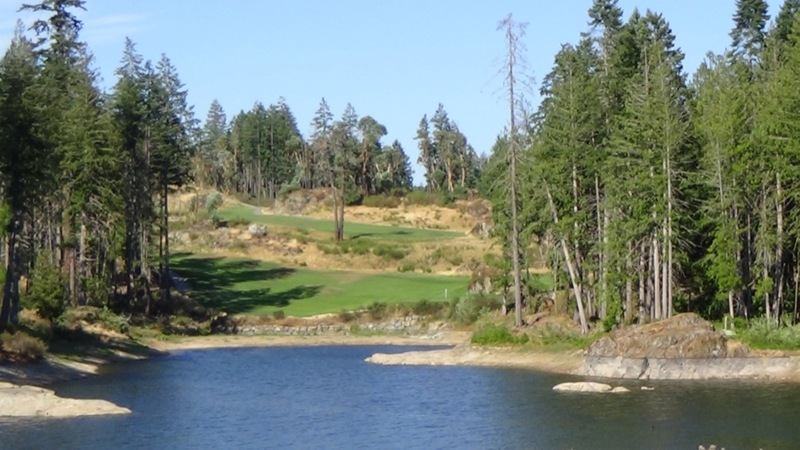 The signature view on Bear Mountain Valley Course is the downhill approach to the par-4 13th, with the green right up against a beautiful mountain lake, you will almost want to go for a swim. 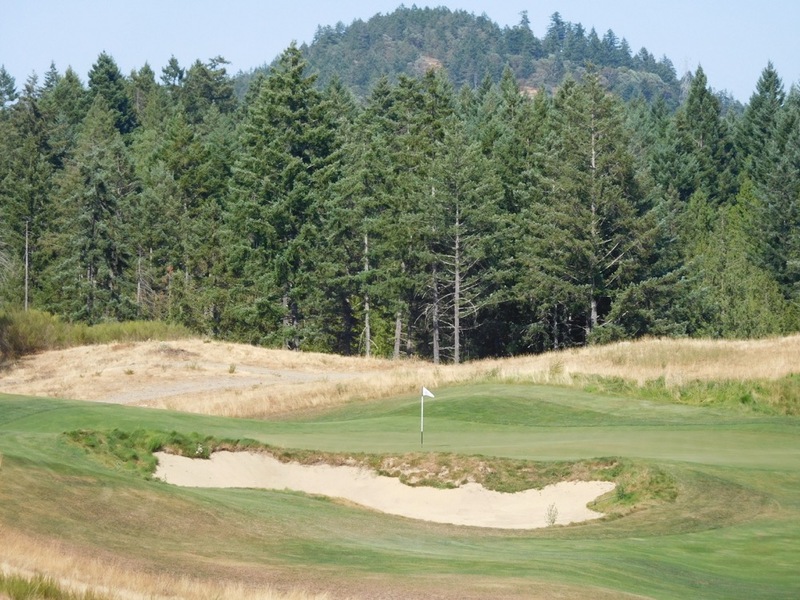 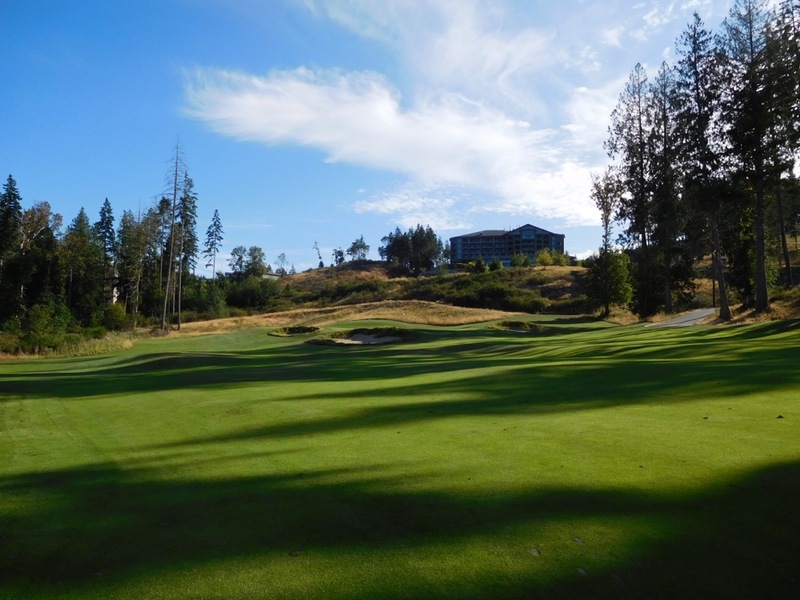 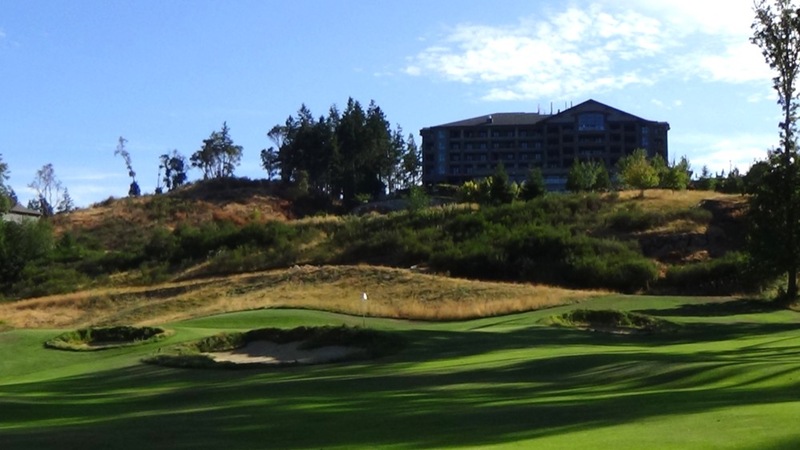 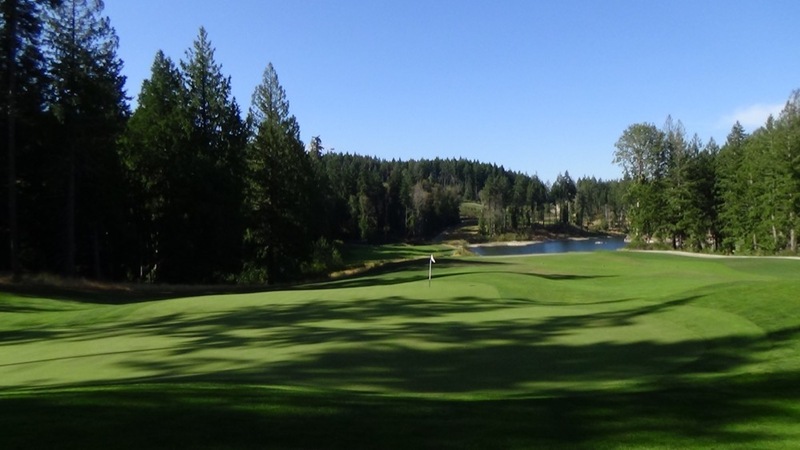 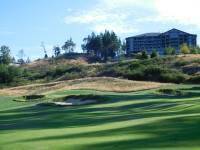 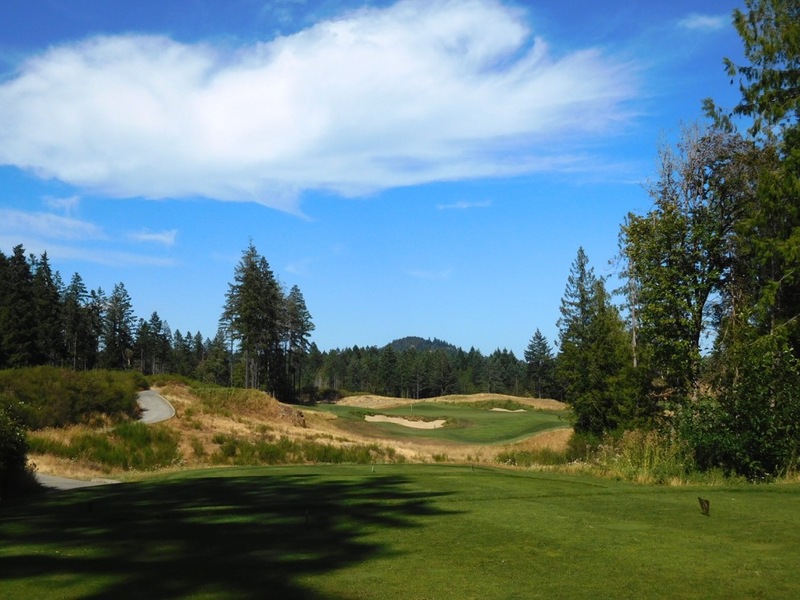 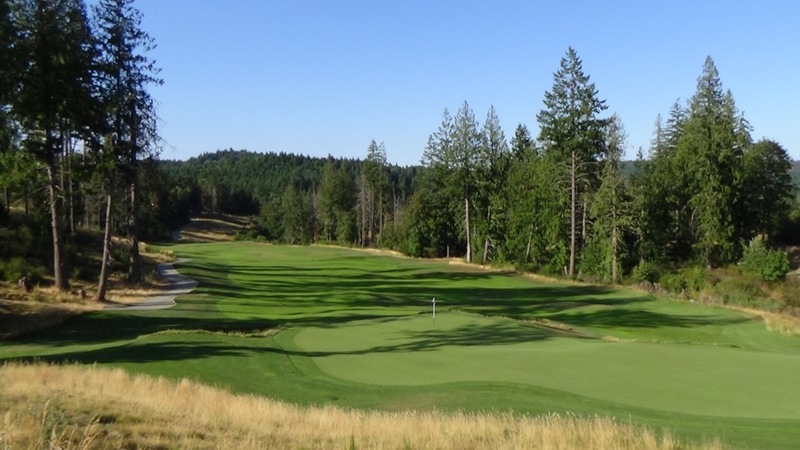 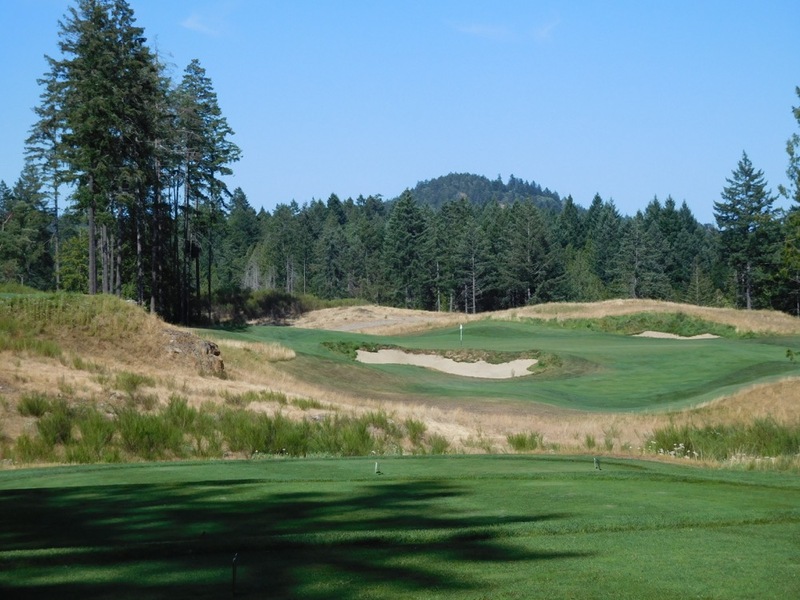 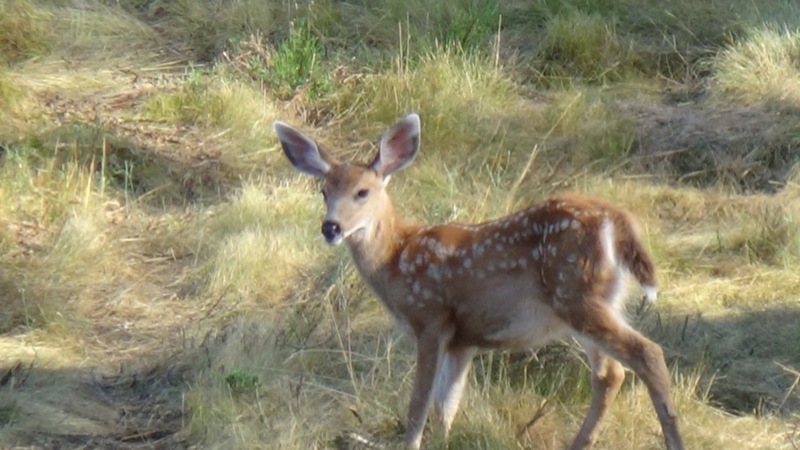 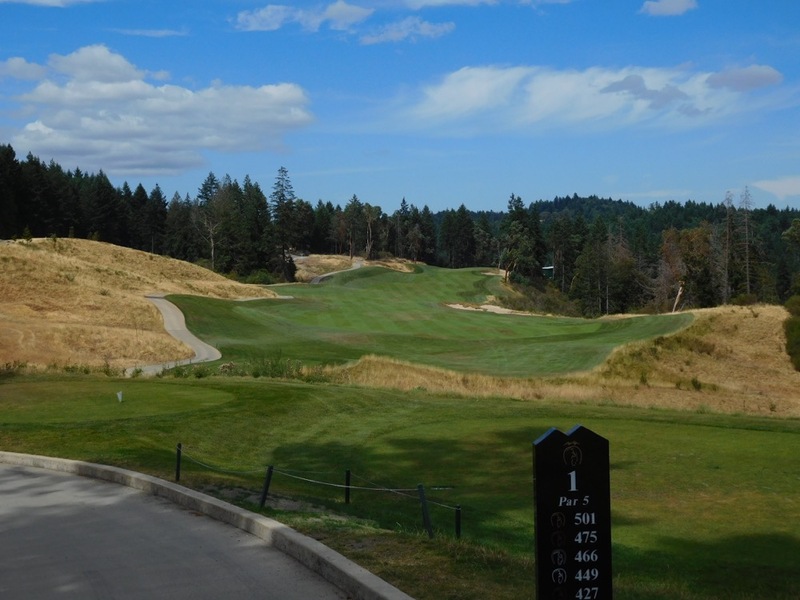 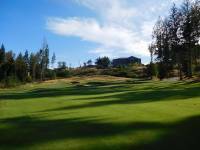 With its rocky mountain terrain, a fescue look in the rough, and incessant summer Victoria sunshine, Bear Mountain Valley Course is simply an idyllic place to play golf. 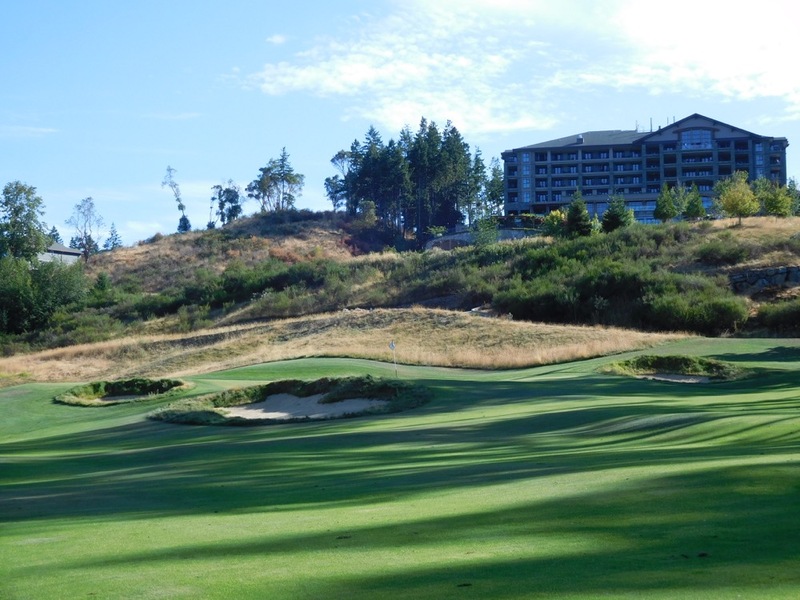 The 18th of Bear Mountain’s Valley Course finishes in the shadow of the Westin Bear Mountain Resort hotel and from the hotel patio you can sit outside for hours looking out at the views down and across the Valley Course out towards Mt. 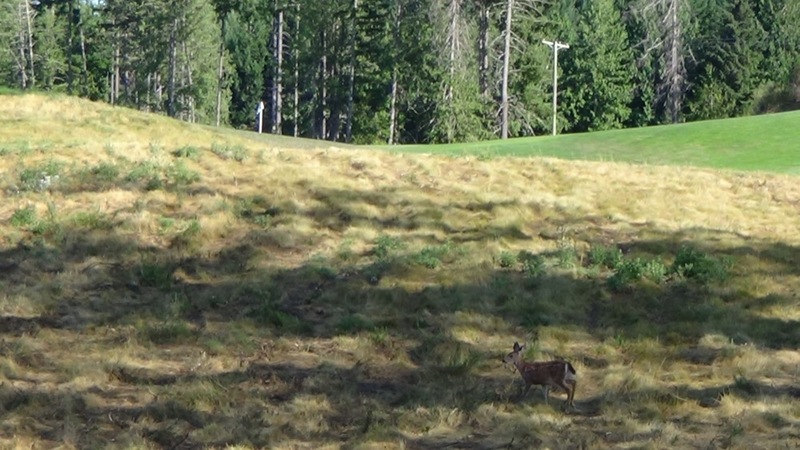 Baker in the distance. 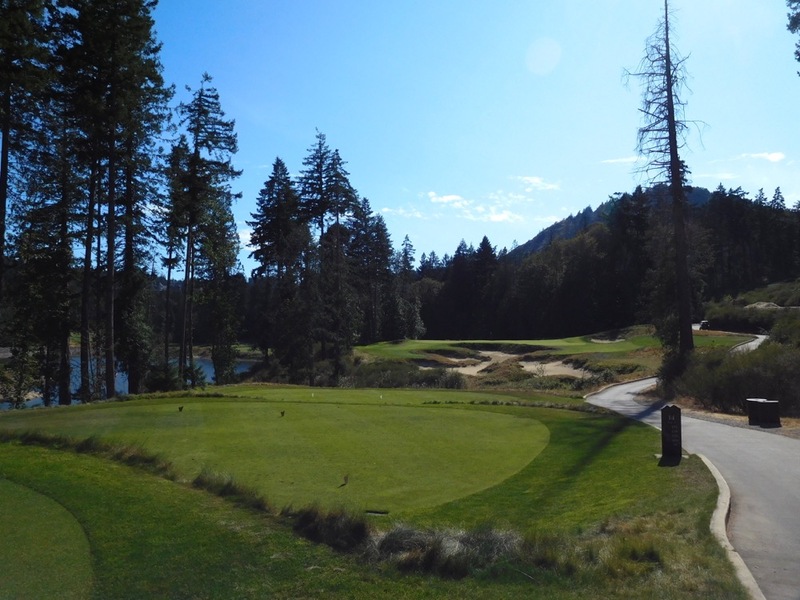 It is inconceivable to visit Bear Mountain and not play BOTH courses here, the Valley Course might turn out to be your favorite!